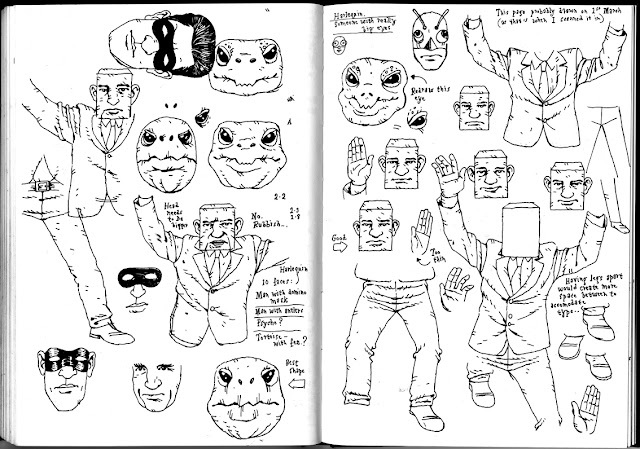 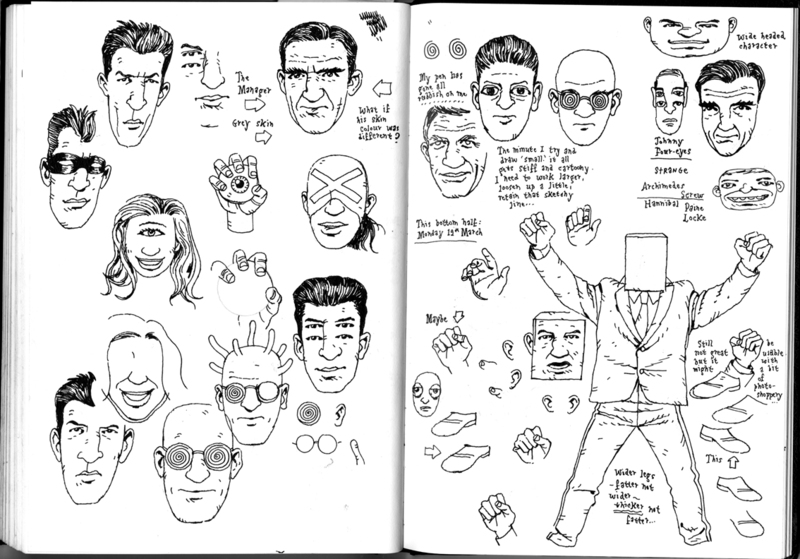 Sketchbook page from a few months ago. 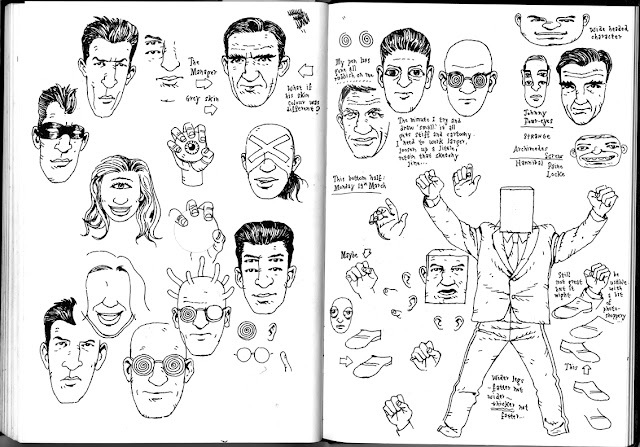 The Blockhead pose on the left was for a cover design that pays homage to Jack Kirby's illustration for Fantastic Four #46. In the original, it's Black Bolt who stands in a similar pose. 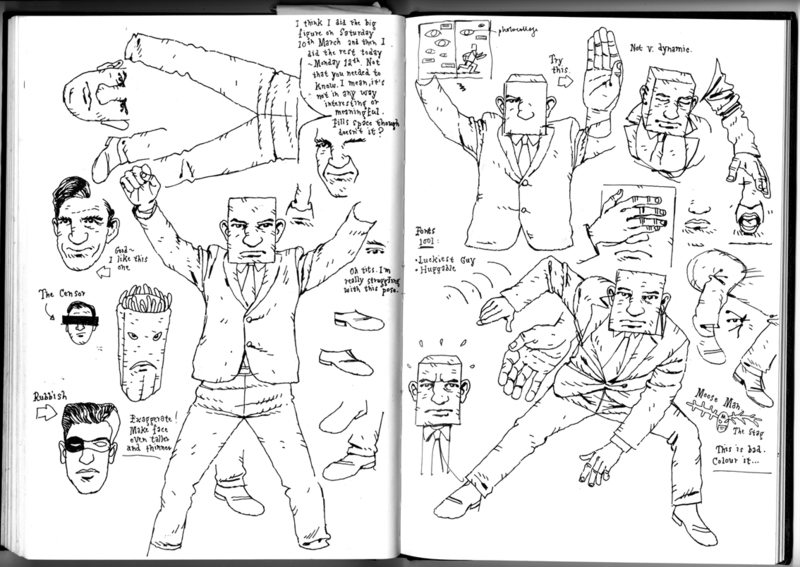 The main image on the right hand page was an attempt, I think, to draw a typically Kirbyesque Captain America pose, which failed due to it's lack of dynamism (hence the note to myself and the title of this post).